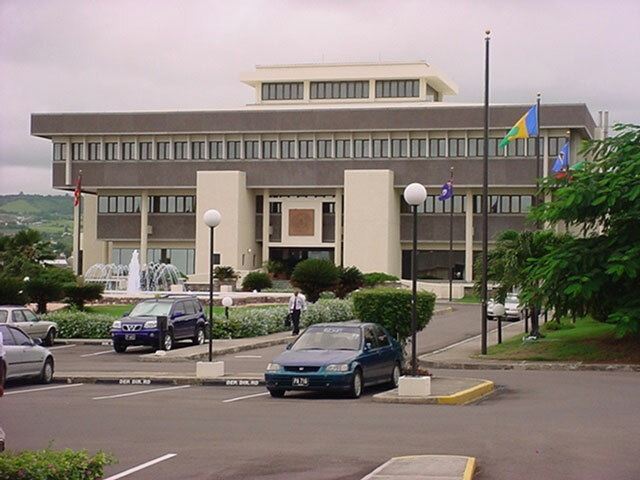 Basseterre, St. Kitts-The Eastern Caribbean Central Bank (ECCB) is embarking on an initiative to change the way payments are made in the Eastern Caribbean Currency Union (ECCU) which could lead to economic growth in the sub region, a top bank official says. Speaking to reporters following the opening of a workshop on the issue, Timothy Antoine, Governor of the ECCB, defined the bank’sk role in the process. “In law, the Eastern Caribbean Central Bank has over sight for the payment system for the Eastern Caribbean Currency Union,’ he said. ‘So we have a big interest in this issue of electronic payments because that is part of our payment system. “As you know right now we use cheques, we use wire transfers, and there are a number of ways we make payments. What we have to make sure as a Central Bank we lead in this area and give timely advice to our governments about developments in the payment systems and move the region in a proactive and decisive way to tap opportunities in payments systems area,” the ECCB Governor stated. He further explained why the bank is interested in going that route. Mr. Antoine further said the Central Bank believes digital payments can help to stimulate economic activity as well as account for growth. He detailed how it could be used to stimulate economic activity using tourism as an example. The ECCB Governor also indicated that the use of cash as opposed to digital means is less sustainable and safe. ”As a Central Bank we are a regulator but we want to promote innovation because we understand when economies innovate they grow. They grow faster and bigger,’ he assured. Salvador Perez-Galindo who is responsible for Governor Relations for Visa in Latin America also spoke to the media and described what is the purpose of the workshop. “We want to provide tangible benefit for the economy, the consumers and the merchant community by providing access to a modern means of payment that can facilitate transactions with further reliability and security,’ he told reporters. He highlighted some benefits for digital payment systems. “The main benefits for economies are economic growth and financial inclusion. Economic growth with cash is not as sustainable with electronic payments. In the future the main driver of growth is digital transactions. For the future consumers will be using a more digital means of payment than cash that is why we believe it is very important that every economy in the world has the means to allow that digital trend to grow in the future,’ he said. He admitted there is a cost involved with the transaction but added that the costs involved with cash is not viable.